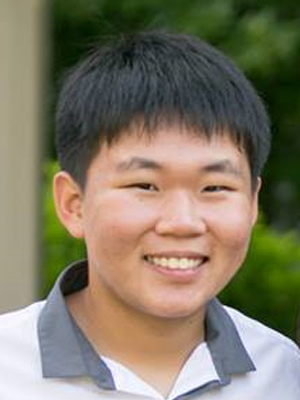 AUSTIN KWOUN, 16, is a junior at the Belmont Hill School and began playing violin at the age of seven. He has been studying with Ms. Jin Kyung Joen for the past seven years at the New England Conservatory Preparatory School; he is currently a member of its Youth Philharmonic Orchestra. Austin has garnered numerous awards and accolades in competition, including top finishes at competitions associated with NEC Prep, the New England Philharmonic, and the Boston Symphony Orchestra. Austin has been a passionate baseball player and fan for many years, but he has only recently become enamored with the sport of archery. Austin is dedicated to community service; he is a co-founder of the Boston Youth Music Charity, which holds concerts to raise funds for various causes. Beyond the classroom, the auditorium, and the sports field, Austin enjoys inane TV shows like The Office and Arrested Development. Austin is a member of the Center for Development of Arts Leaders (CDAL) in Boston.